New restaurants and cafes seem to be springing up all over Itaewon at the moment. As I wander down alleys and side streets I keep spotting new places to try; and right out on the main strip, sandwiched between Panchos and the KB Bank, I discovered a new take out noodle place that offers a box of South Asian goodies for far less cash than most other eateries. Noodle Box franchises have popped up in Hongdae, Shinchon, Gangnam and Itaewon, offering a small selection of noodle and rice dishes starting at 5,700 won. To celebrate the grand opening of the Itaewon branch every main course on the menu has been brought down to 5,000 won, I'm not sure how long the discount will last, but it certainly offers a thrifty alternative to Buddha's Belly, Wang Thai or Pattaya. I opted for the Pho Xao, described as "Vietnamese Pad Thai. Fried flat rice noodles served with pork, mussel, plus vegetable combination." Low prices also mean self service down at Noodle Box, but for 5,000 won I was happy to make the short trek to the counter. 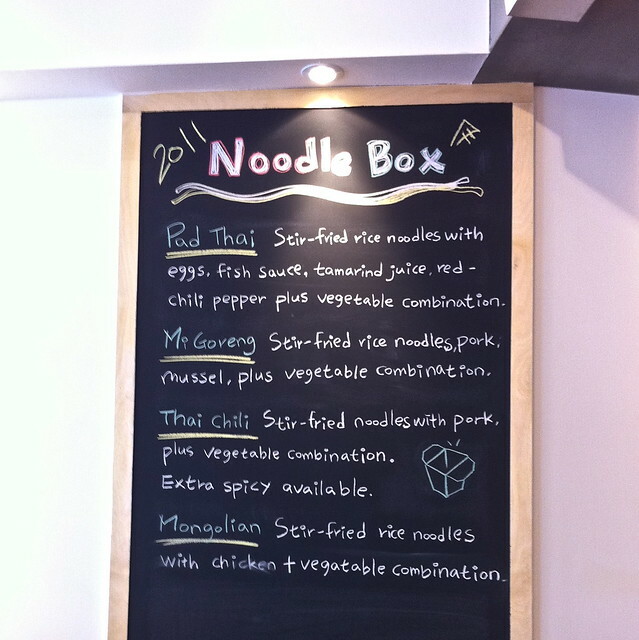 My noodles arrived promptly in their own special box (how appropriate!) and when I opened up my small cardboard parcel of delight I was greeted with a burst of fragrant steam. So far, so good. 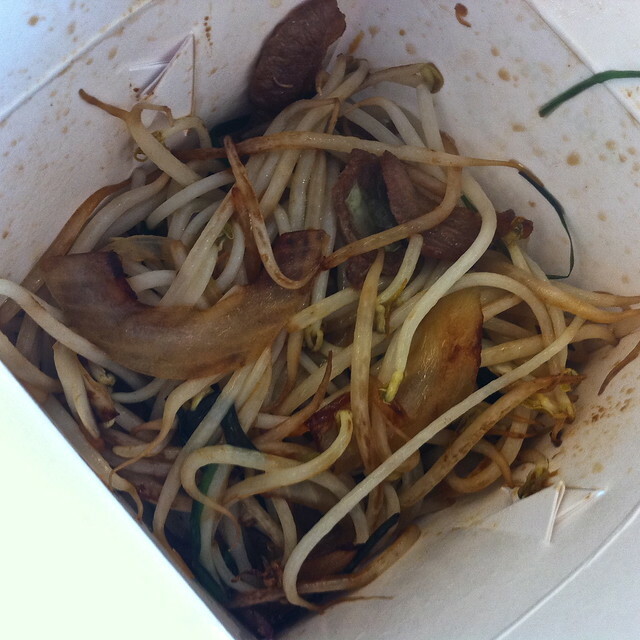 It turned out to be a tasty little package and worth the price - choice morsels of pork, a few mussels and plenty of beansprouts, but my only complaint would be that the noodles were a tad too chewy. 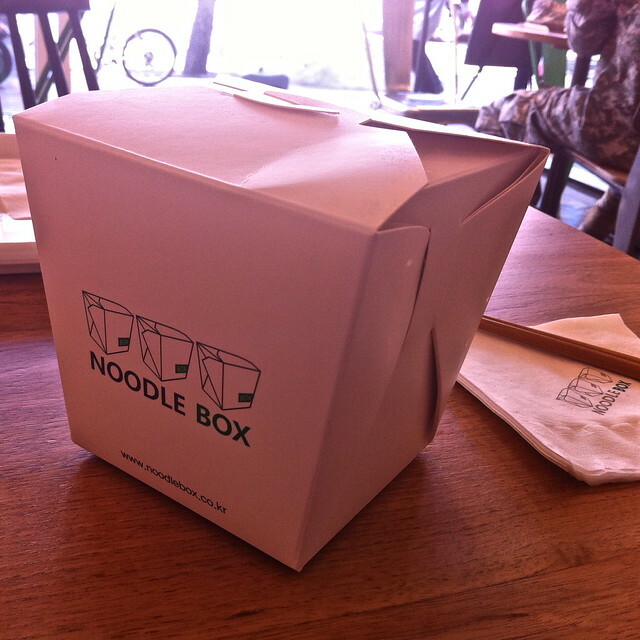 Noodle Box offers a decent meal at very low cost and adds a touch of asian flair to the row of kebab shops that adorn the strip between the subway and the fire station. 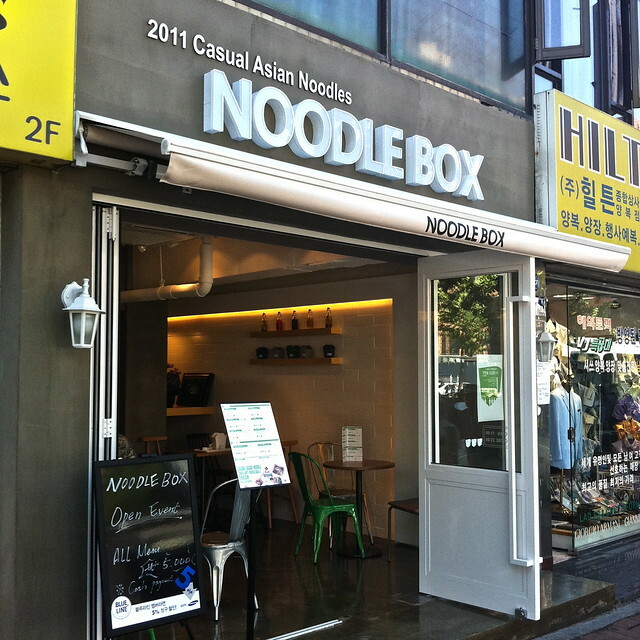 Certainly a good option for those on a budget or in a hurry, and may well offer a little nostalgia for those who used to get their noodles in boxes... To get to Noodle Box, head out of Itaewon station past KB Bank and this cheap little eatery will be on the right hand side. If you hit Mr. Kebab, you've gone too far. Visit their website here.